INDUSTRY.co.id - Jakarta - Akzonobel, the brand paint company Dulux announces the launch of the main color trend projection of 2018. Heart Wood as the color of the year 2018, with its soft, warm and adorable pink color, this color depicts the touch of natural wood and leather, and ease in response to consumers who want a more relaxed atmosphere and create a 'a welcome home' atmosphere at home. 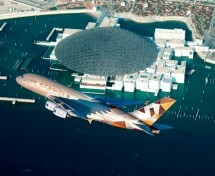 The research was conducted by a color team at AkzoNobel's Global Aesthetic Center along with 11 international experts. By tracing and developing the trend and themed 'A Welcome Home', it identifies Heart Wood as the main paint color for 2018. Managing Director of AkzoNobel Decorative Paints South East & South Asia, Middle East, Jeremy Rowe said color can play an important role to balance between world noise and peace of mind. "Our house needs to be a place where we can rest from the noise, where we can re-build value and recharge energy," he said in the SCBD Sudirman area, Tuesday (5/12/2017). Heart Wood is a color that combines the soft shades of the grayish pink and blue. This color is inspired by the touch of natural wood color and comfort of leather material. Heart Wood is also claimed to be a color that portrays the mood of the moment and allows consumers to live in perfect balance in their homes. 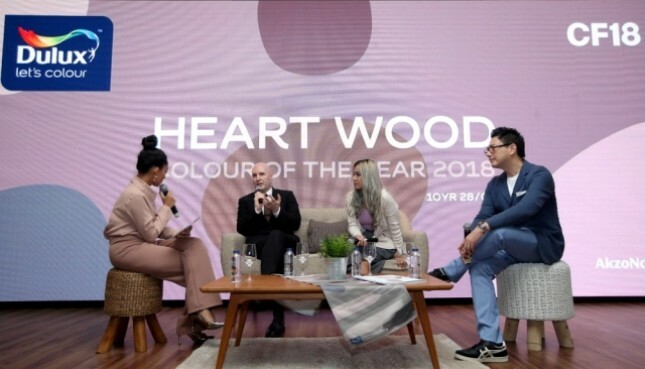 "Color of the Year 2018 we really describe the current heart," he added. Heart Wood and four complementary color palettes will help consumers get a unique home, so it can bring a sense of security and calm, and create a home that is fun for all.